Sailing | Meghan Kelly Teles! First Public Slideshow on Shifting Ice and Changing Tides! A week from today, I’ll be giving the first public slide show on the Shifting Ice and Changing Tides expedition from last April. 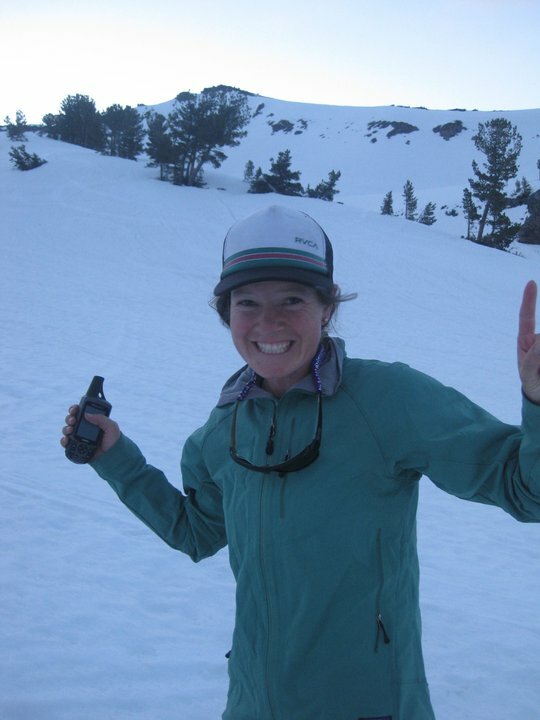 In case you haven’t been an avid reader of this blog, the show will cover the expedition of an all-female team via sailboat to ski first descents in Iceland and Greenland! I was a member of the team and worked on the project for over a year before setting sail last April! The trip was amazing and I hope to bring you along with the slide show! Just a teaser to get you excited! See more amazing photos like these next Friday! I opted not to hit this jump at Northstar, but this girl styled it! I started practicing turning down unnecessary risk pretty early since that has never been easy for me! Learned to be a pretty good waterskier! I got to waterski about 8 times this summer/fall and really started to improve! Surfing Lake Tahoe is always fun! 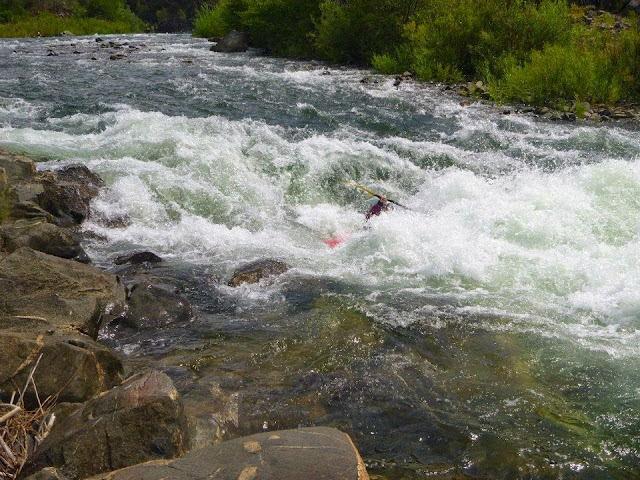 This is my pal Amanda hitting up Hospital Bar on the South Fork American… I had hit the same line 30 seconds earlier. 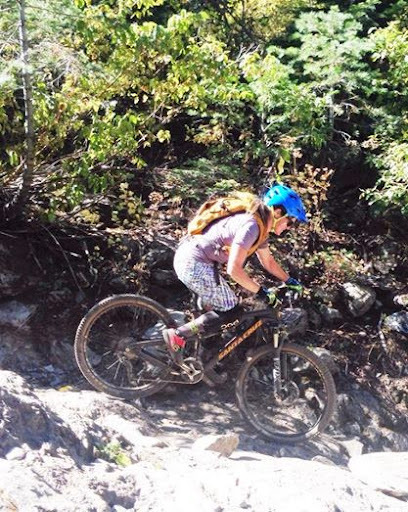 Riding the technical section of the Downieville Downhill the day before I found out about the triplets. 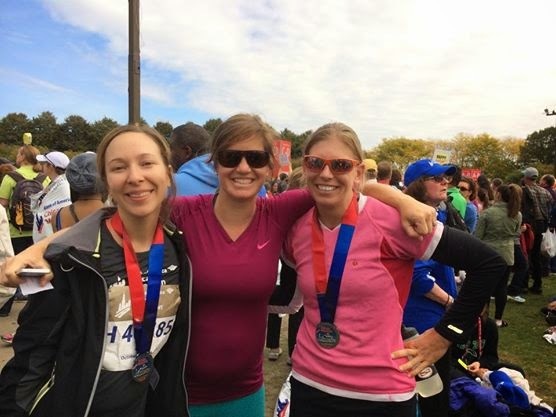 I’m all smiles here, but a few hours later I realized I wouldn’t be running a lot during this pregnancy! Surfing at the hook on a mellow wave day. Best part was the sea otters swimming nearby! Rachael Burks and I sailing in the San Francisco Bay. Photo by my buddy Greg Marsden! 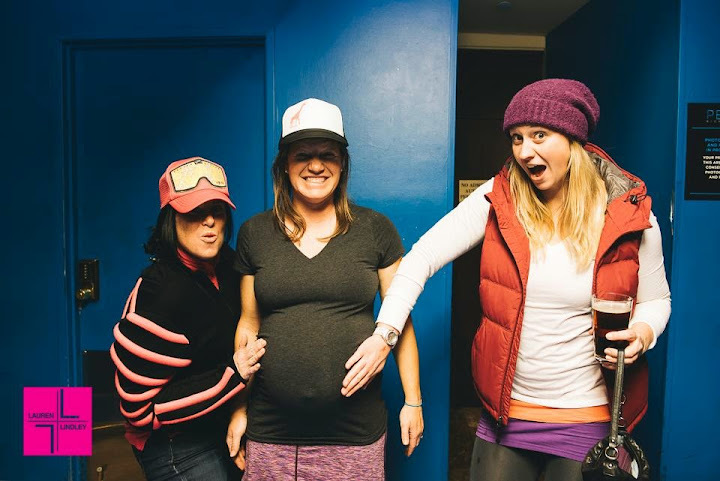 We hit Mammoth on opening day so I could ski as early in the pregnancy as possible! My jacket still fits in this photo! Swam a lot of yards – still doing this! Evening ride with preggo partner in crime Nira on Tahoe Mountain. I still have a few weeks till my 3rd trimester as technically I’m 25 weeks pregnant, but things happen a lot faster with triplets. They say add anywhere from 10-14 weeks so if that is true, I look and feel like someone due in about a week! The goal is to make it as close to 36 weeks as possible. Most pregnancies are 40 weeks. I’m slowing down quite a bit and walking and swimming seem to feel the best at this point. But at this point, the triplets have been exposed to quite the variety of outdoor sports and should be pretty well rounded athletes! I’ve been debating whether or not to start a triplet specific blog or just momentarily cover this journey here. I think the most interesting thing will be the comeback so I’m leaning towards business as usual on meghankellyteles.com. If you have an opinion, let me know! This is me just 10 days ago and just under 24 weeks along. Yep, super pregnant! The Shifting Ice and Changing Tides crew is home safe after a very successful expedition to Iceland and Greenland. I cannot thank everyone enough for their support. It sure helped pull us through the tough days and make us extremely grateful for the great days! The crew in Nuuk after a successful journey! Special thanks to my newest sponsor Moonlight Skis for providing me the most lightweight setup that still performed well in a huge variety of conditions! Check them out! We’ll be watching for these in 2 hour shifts! Despite support from our sponsors. partners and awarded grants we are still a short of fully funding our expedition. Instead of giving up, we decided to launch an independent crowd-funding campaign on Indiegogo, which allows the online public to fund projects that they are interested in. We believe that our expedition is worth funding- We want to showcase that with hard work and determination,a team of women can pursue a dream toward success. We want to encourage everyone else to do this! We want to grow our knowledge base about the climate, oceans, and glaciers and share our experiences with the public. We don’t have one sponsor that unites us, just a single mission, and we hope you will help us by giving what you can. Last night we tipped our online fundraiser for $20,000 over the halfway mark. We have $10,000 left to raise and we need your help! Watch our campaign movie, donate if you can and most importantly, please help us share this project online! Thanks for your support from the whole Shifting Ice team! Help Fund Shifting Ice + Changing Tides! 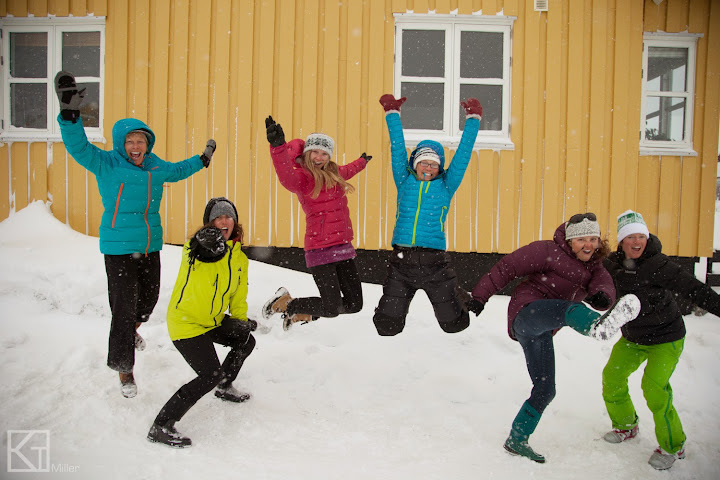 When we won the Polartec Challenge Grant last year for our All-Female Sail and Ski from Iceland to Greenland, we thought the rest of the funding would fall in line with some hard work. We’ve applied for 10 grants, sent sponsorship proposals to a lot of companies, and experienced about a 15% success rate. Getting told “No” that often can be discouraging, but we really had no choice but to keep on asking and plugging along. After all, we were dedicated to doing the trip. We already had some great partners on board and we already put our deposit on the boat! Now we are asking you! Our friends, family, supporters, blog readers, etc, to help us fund the remainder of the trip cost. If we can reach our goal of $20,000, we can actually pay our photographer and produce an amazing final product! We can also pay off the credit card we took out to pay for the sailboat charter! So help us! Even if 85% of you say no, we can reach our goal! But say yes, and I’ll be this happy! So visit this site and chip in if you can! Since we launched Shifting Ice + Changing Tides, the response has been overwhelming. We get requests almost daily to join the trip or to be added to the waiting list. We have to admit, the trip sounds amazing – that is how we came up with it! Dream big and go for it has been our motto from the start, but between dreaming and going, there has been more than a year of hard work. As you know, the spark started with our application for the Polartec Challenge Award, 40 hours of research, writing, and rewriting, that seemed like a lot of work at the time… but we were just getting started. Once the fire was started, we had to find a boat that was in Iceland, available for charter, and could fit six of us. This took us quite a bit of time, but we eventually partnered with Thierry Dubois and the La Louise. More on Thierry later! The La Louise off the coast of Greenland. Next we had to find accessible and skiable terrain and objectives. Our constraint was time. The longer our trip, the more expensive it would be. So we restricted the trip to 3 weeks which restricted the terrain we’d be able to access. Thierry has done this sail quite a few times and has good information on where the coast is accessible at that time of year, so Martha obtained some maps and we started planning using the combination of maps and Google Earth. We’ll then put this information into a GPS unit to access the sites when we are on the boat or dinghy. Maps and Google Earth for hours! 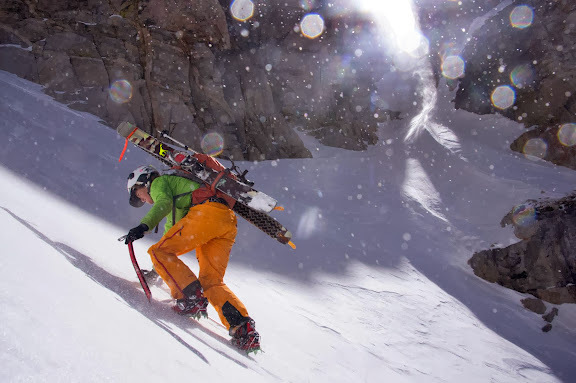 There is so much more we have to physically do to prepare for the trip – prepping a first aid kits, physical conditioning, mental conditioning, reviewing essential skills like crevasse rescue and rappelling, calling and emailing every skier and sailor that has been to that region. But by far the hardest part has been raising the funds for the trip. We are lucky to have 2 great partners in Polartec and Climate Reality Project, but we are looking and applying for grants and sponsorship weekly and discussing how we might fill the funding gap. (We’ve even put our own funds towards the trip). We’ve had multiple hour-long Skype calls, a team meeting in Jackson were some team members traveled over 11 hours to get there, over 1,000 emails, and 5 working Google documents. We’re obviously not skiing or sailing during those hours! With the trip just over 2 months away, the amount or work we still have to do seems daunting, but the messages we receive from our supporters fuel our fire. So keep them coming and if you have any ideas on possible partnerships, we’d love to hear them because we’re still chipping away at the “work” part of the equation! Also, keep an eye out for our crowdfunding campaign starting next month or make a donation here NOW! Our website for Shifting Ice and Changing Tides is live! Also, consider liking us on Facebook or following us on Instagram or Twitter! Thanks – less than 3 months until we depart for this epic sail and ski adventure. 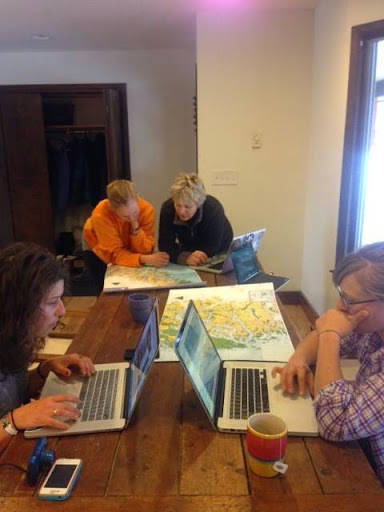 The team in Jackson Hole at the end of November 2013.